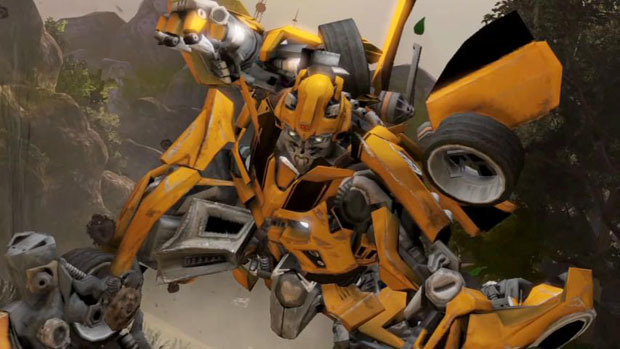 And now, a launch trailer for Transformers: Dark of the Moon. There is a fight which has just begun. some new evil has arisen. You get the general idea. This is likely going to be a pretty cool game if you're into the plot established by the films, as Dark of the Moon fills in events between Revenge of the Fallen and and the new movie. This isn't like bell bottoms, poodle skirts or the hula hoop. Transformers, along with many of its contemporaries, was a calculated campaign to sell a wide variety of thematically linked products to an audience incapable of knowing that it wasn't anything more. And now that we're adults and we should no longer be ignorant to this fact, we still love them as a result of that connection to our youth. It makes me think about the kind of cultural future we're going to sell to our own kids (and then sell them again in their 30's). I wonder what that will be like.